These tortillas. I can’t stop. I’ve literally been putting all my foods in a tortilla. Kind of like that guy that indiscriminately puts ketchup on his food. Eggs, potatoes, steak, bagels… Ketchup 4 Life Guy. I’m that guy… just with paleo tortillas. One of their more shining qualities is durability which is hard to find in a wheat-free tortilla and especially a grain-free tortilla. I’ve been making them non-stop for clients and myself. This week’s favorite filling was wild shrimp and salsa verde. I just happened to have a half jar of trader joe’s salsa verde in my fridge and some frozen wild shrimp waiting for its culinary destiny. Dinner is served. Heat a skillet with some coconut oil and toss shrimp until cooked through. 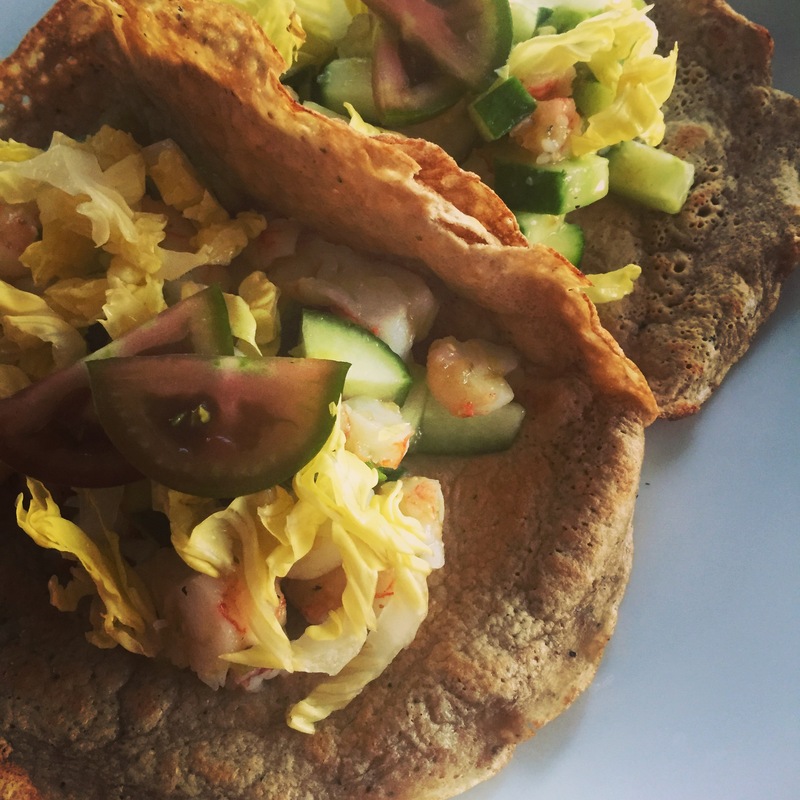 Fill tortillas with shrimp mixture and top with lettuce and tomato. Hot sauce optional!